Friday, April 29th, 2016 at 1:38pm. If you live in south Florida you have probably owned, tried or at least seen a stand up paddleboard! Stand Up Paddle Boarding or is an activity Floridians have loved for years. Recently its become even bigger and has gained tremendous interest from Jupiter locals for a workout, leisure or new way to explore the area. 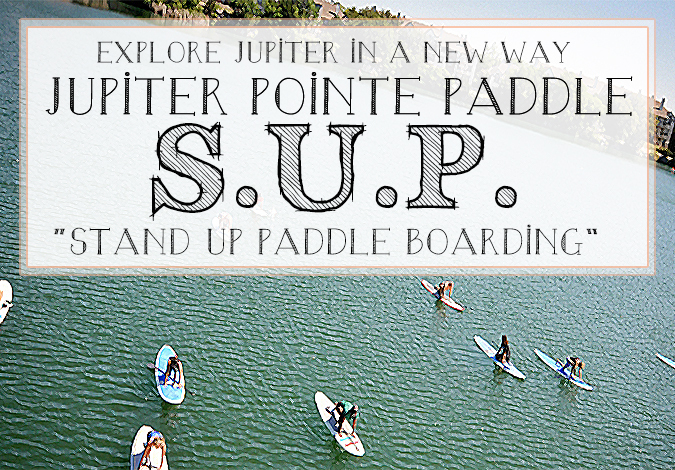 If water, sun and adventure are in your vocabulary, you have to try standup paddle boarding at Jupiter Pointe Paddling at the Jupiter Pointe Club and Marina. They have an incredible variety of classes and events offered on a paddleboard.